So nice and down to earth. Definitely making her my OB. She made me feel so comfortable and I felt thatI could really talk to her. So nice and down to earth. Definitely making her my OB. She made me feel so comfortable and I felt that I could really talk to her. Very professional. Great bed side manners. Listens to you and explains everything thoroughly. Will highly recommend her. Practicing at Mercy Medical Group, Dr. Diane Abdel-Barry is a caring and friendly OB-GYN. She is eager to be able to serve women at all stages of life and caters to the needs of the women of Chicago, IL. She completed her residency in obstetrics and gynecology at Mercy Hospital and Medical Center. Prior to this, she earned her degree in medicine from the Saint James School of Medicine St. Vincent and the Grenadines. 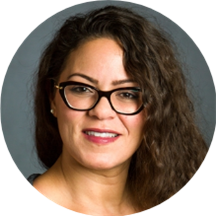 Dr. Abdel-Barry is passionate about her work and likes to educate young women looking forward to being mothers. She guides them in building a routine that will allow them to better prepare their bodies for successful pregnancy and childbirth. She is also keen on helping adolescent girls understand and adjust to the sudden change in their life. She recognizes that it may be difficult for them to deal with the sudden change associated with menarche and gently educates them about these changes. Dr. Abdel-Barry deals very patiently with women facing issues during menopause. She offers complete gynecological care for women of all ages, from adolescence to menopause and every stage in between. I went to see Dr. Barry for the first time a few weeks ago. I asked about a new birth control prescription because I was told by a pharmacist that the one I was currently on was being phased out andshe said that was incorrect and prescribed me the same medication. When I brought her new script to the pharmacy, they indeed told me it was being phased out so I called her office to try to get a new prescription and left a message for her. I never heard back. I have now called the office FOUR TIMES. I have also left messages on my patient portal AND I have had people from the office send her messages. But I have heard NOTHING!! I had to turn to my general practitioner to help me out with a prescription because I was getting nowhere with Dr. Barry. I cannot believe that a doctor would be so irresponsible with responding to patients, especially when I have tried to contact her many different times and through many different channels. This is unacceptable and I will NEVER go back to Dr. Barry. She was great! So informative, so down to earth! Love her. New Obgyn. She's AMAZING. very happy I switched to a new gynecologist. She's professional , kind and warm. She was warm, kind, professional, and approachable. I'm excited that I found my new doctor! annual check-up. the visit itself was smooth. doctor was friendly and knowledgeable. waiting time a bit long. The wait was long but definitely worth it! I’ve seen my fair share of OBs and I genuinely appreciated her professionalism and down-to-earth care. She made sure to go through the risks in detail with me of getting an IUD andtalked about her prior experiences with inserting one. I’m excited to go back! I recommend Dr. Diane Barry for your yearly gyno appointment. Dr. Barry is a wonderful woman! Very kind and understanding. Her staff is great too—Becky in particular. Dr. Barry got stuck in traffic before my appointment (it was at 8am) which caused a delay, but it was not a problem. I would recommend her! Dr. Barry was amazing. Listens and gives you great feedback, and makes you feel comfortable. The office was very clean and all of the workers were awesome. The wait time was about 40 minutes but it was worth it.